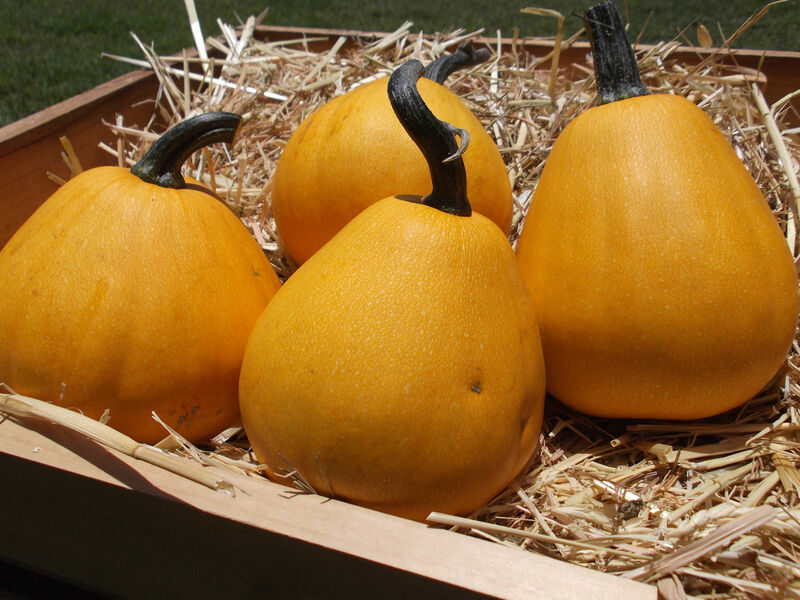 An heirloom variety with fantastic cooking quality. 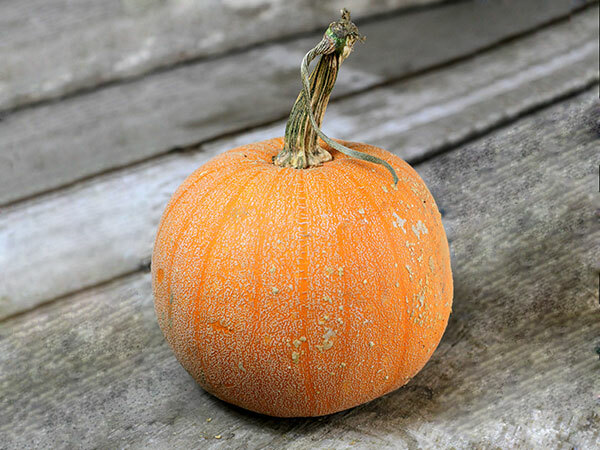 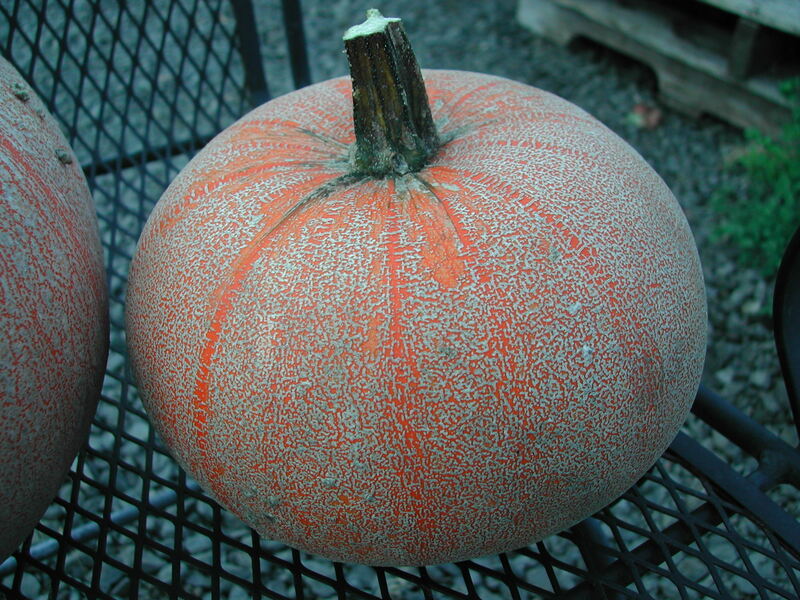 This small pumpkin has a unique, netted skin. 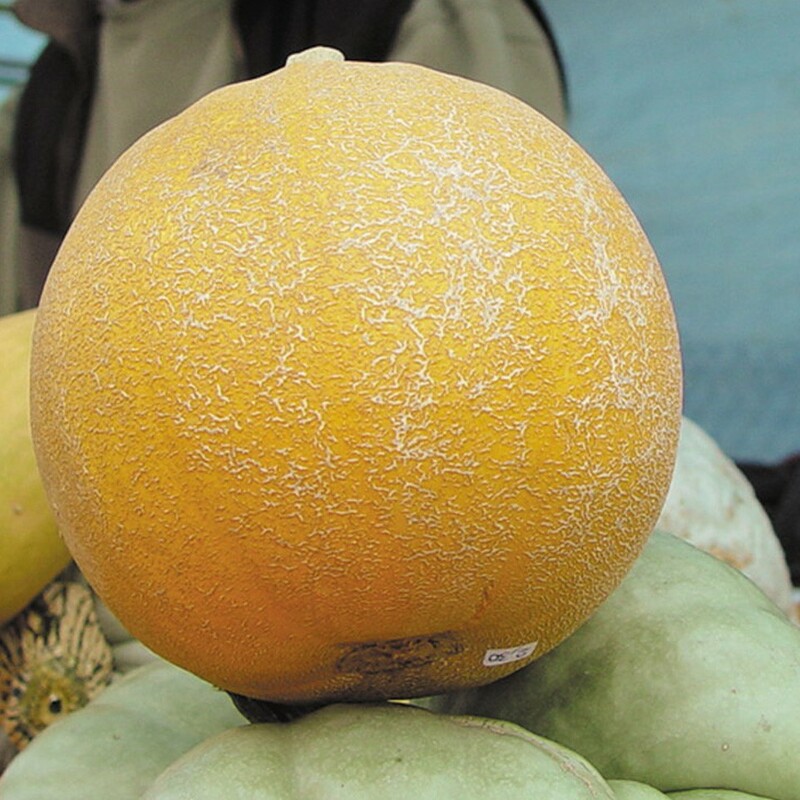 Winter Luxury is not only a gorgeous ornamental, but is also superb for eating. 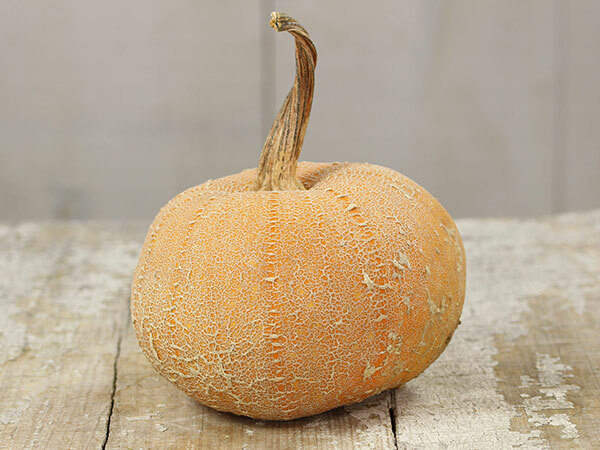 Winter Luxury is an heirloom pie pumpkin that made its debut in 1893 by Johnson & Stokes Seed Co. 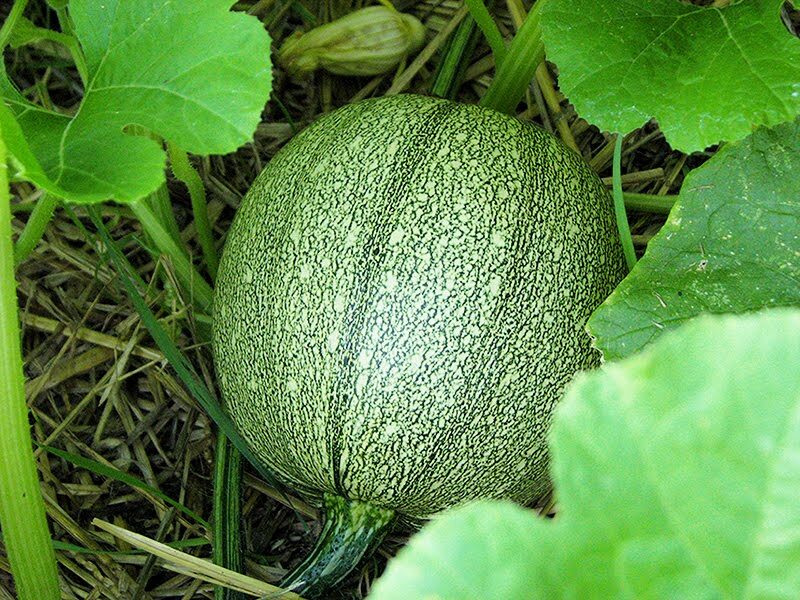 It has sweet, smooth flesh, that is great for pie, cheesecake or soup. 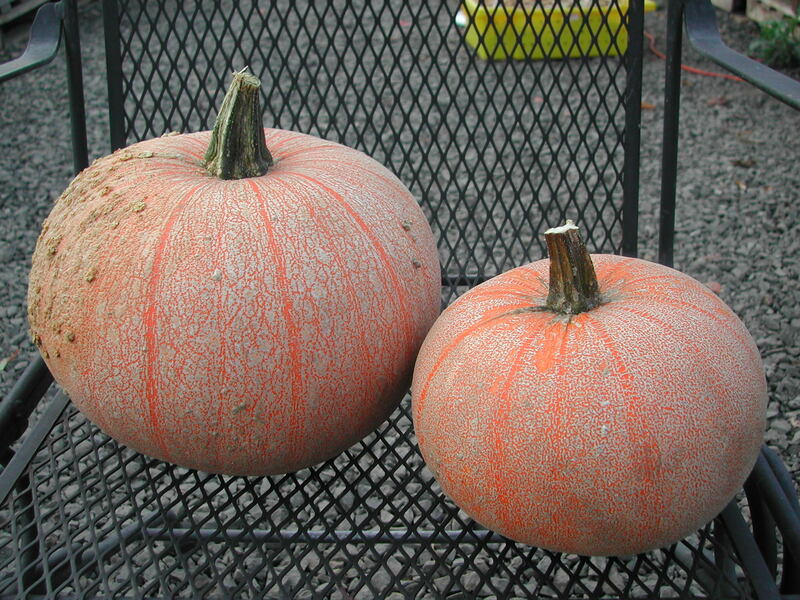 This year, they are ranging in size from 5 to 12+ pounds. 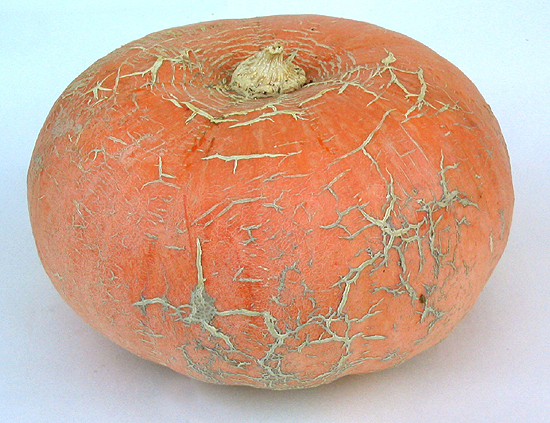 Winter Luxury Pie Squash was developed by a farmer. 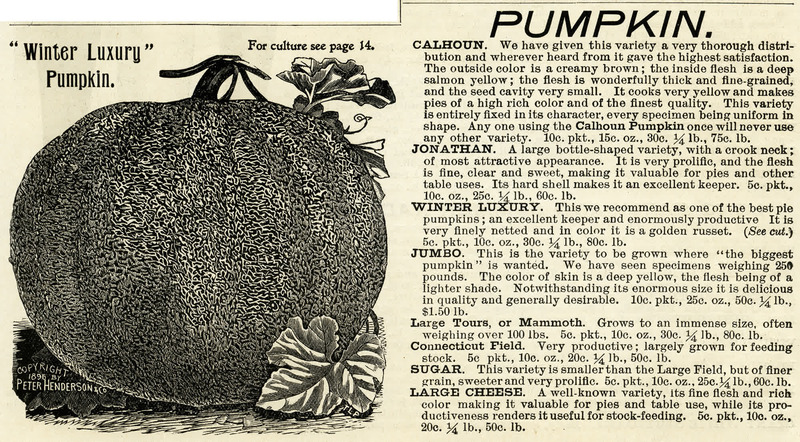 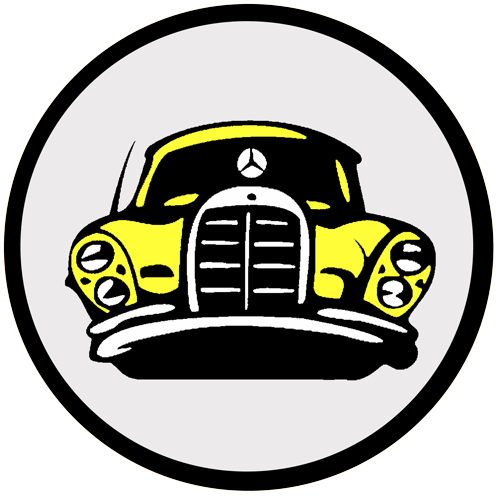 Johnson & Stokes of Philadelphia acquired the rights to it, and released it in 1893. 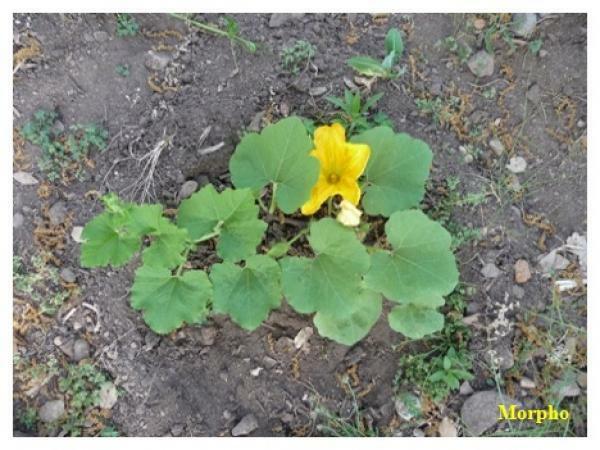 According to Amy Goldman, this version was developed by an anonymous farmer. 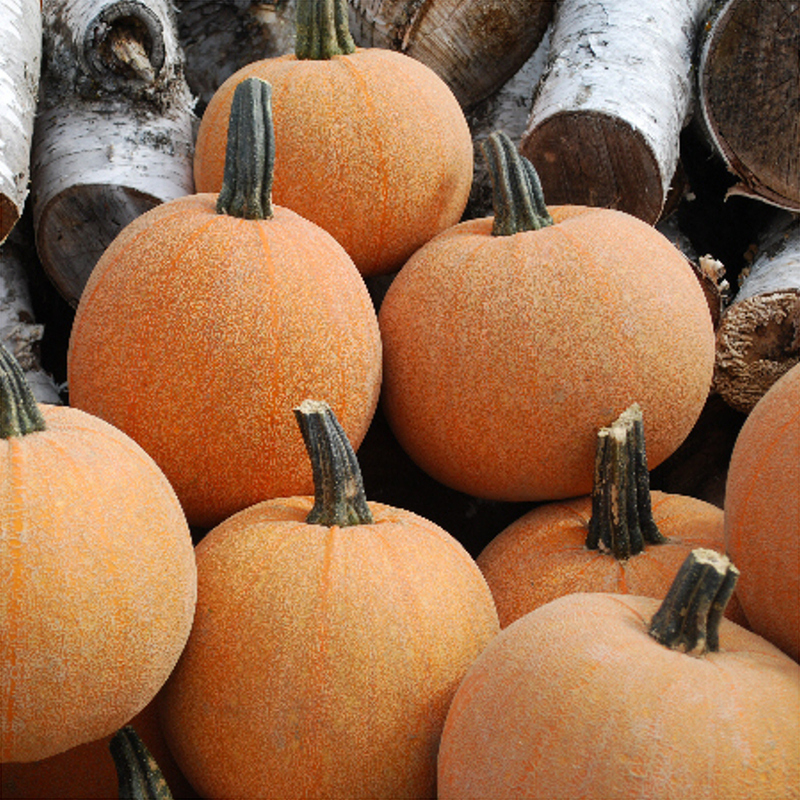 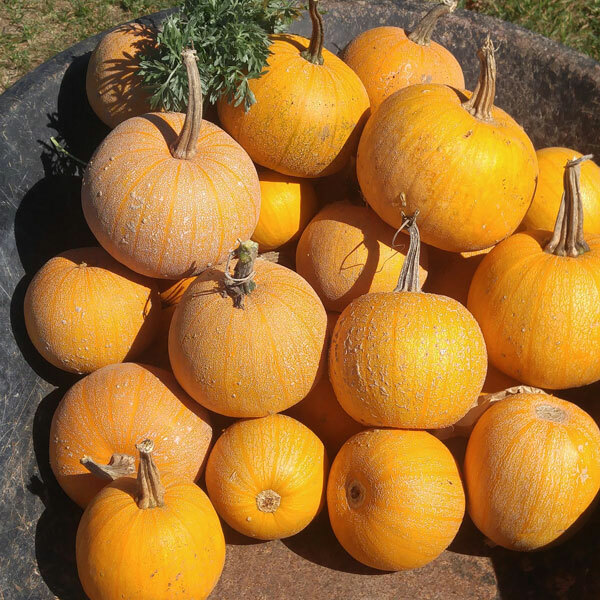 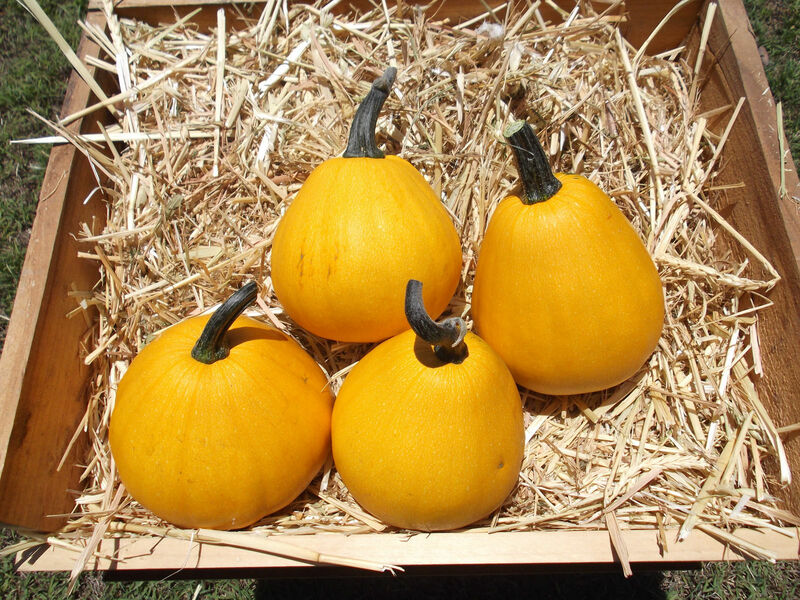 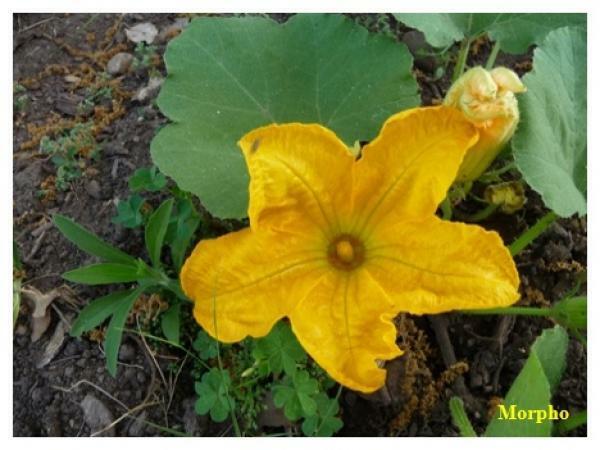 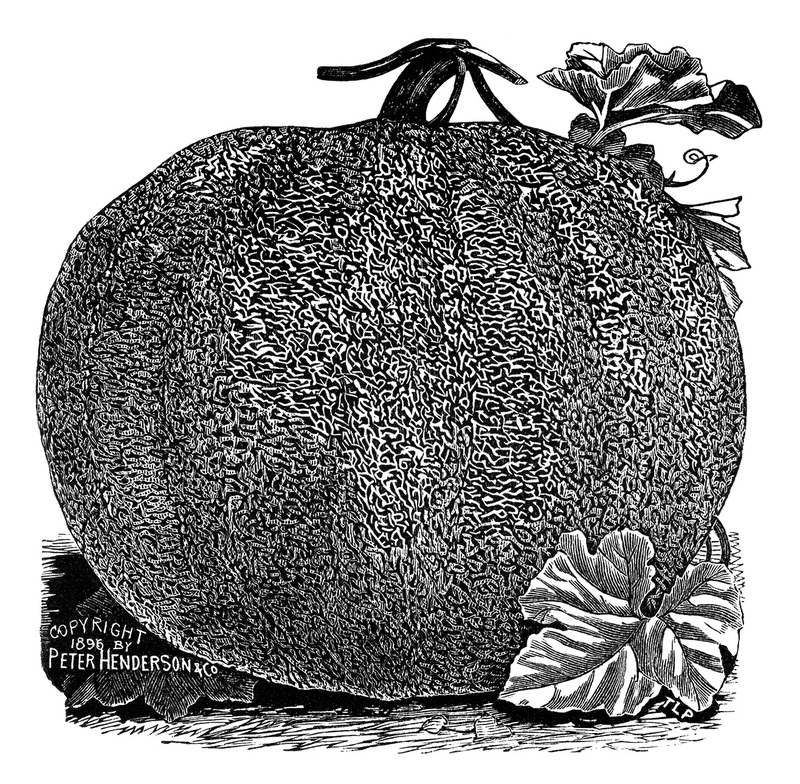 At the time, it had pale yellow flesh very close to the famous variety "Sugar Pumpkin". 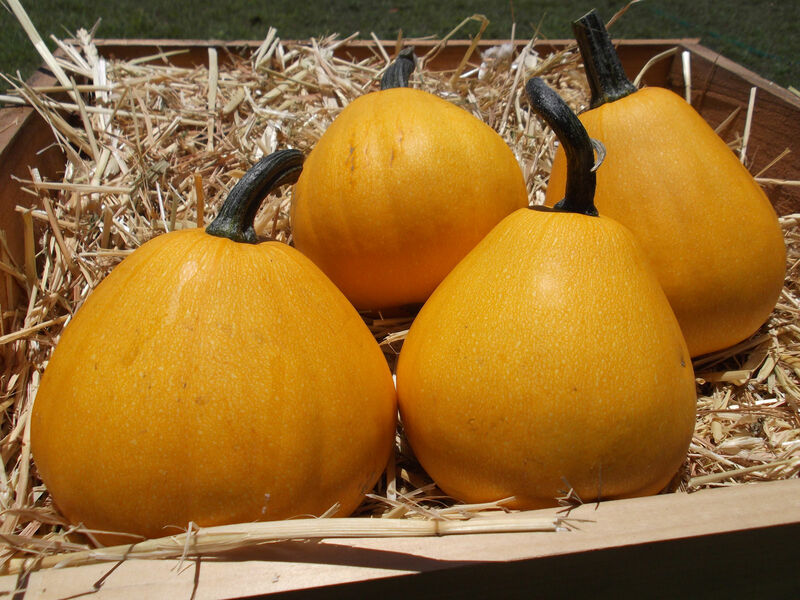 Ray W. and Edward E. Gill, of the Gill Brothers Seed Company, Portland, Oregon, released an improved variety in 1917 with increased size. 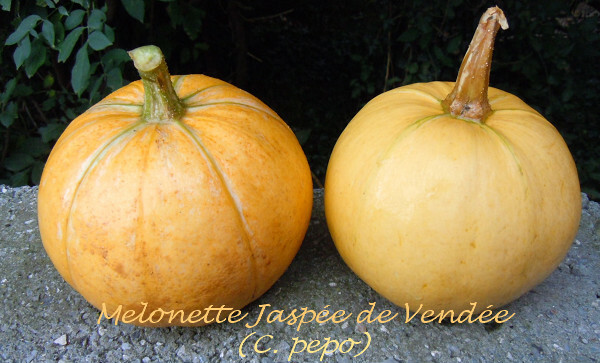 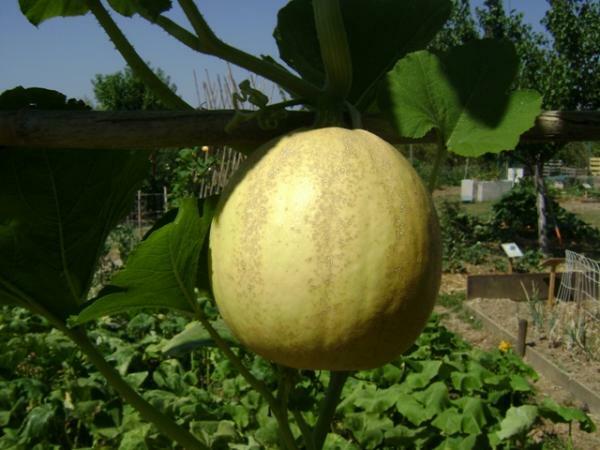 The French variety "Melonnette Jasp�e de Vend�e" seems very close to the "Winter Luxury" variety of origin. 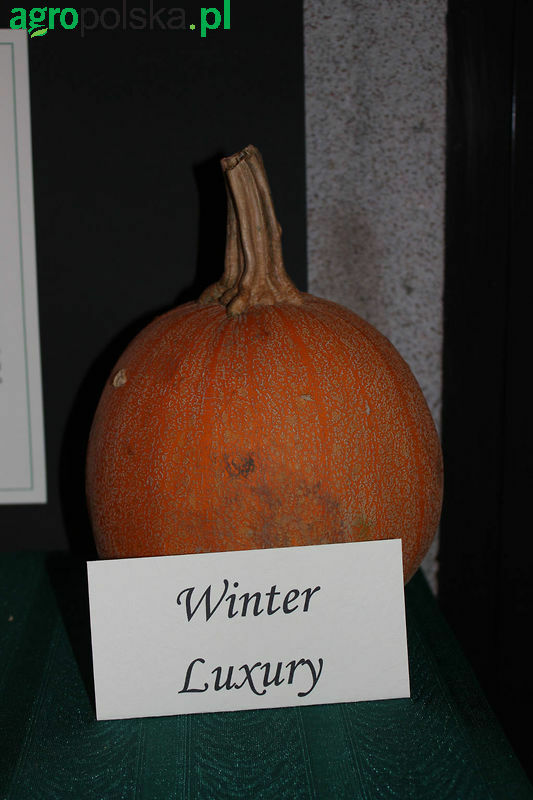 "Winter Luxury" is also known by many other names: "Golden Russet", "Livingston's Pie Squash", "Luxury Pie", "Queen Luxury", "Winter Queen", etc.